Founded in 1918, TUT has now become one of the largest universities in Estonia. Being the flagship of Estonian engineering and technical education TUT has app. 14, 000 students and 2000 employees (incl. 1200 faculty members) as well as qualified professors with international experiences. The University is structured into eight faculties, three colleges and six research and development institutions. The Department of Computer Science is one of the youngest and most intensively evolving academic units at TIU founded in December 2000. The department is a host institution for the bachelor and master level study programmes on Network Software and Logics. The research and development activities are carried out in the field of formal methods, semantics, security, programming theory. Department has relations with many professional societies, universities and international organizations such as IEEE, IEE, IFAC, IFIP and others. With 12,000 students and 2,700 academic staff, KhAI is one of the leading institutions of higher education in Ukraine for the training of specialists for the aircraft and aerospace industry in Ukraine and beyond. KhAI has branches in Mexico, Germany, Finland and China and cooperates with first rate national and foreign manufacturers of aircraft engineering: «ANTONOV», «BOEING», «AIRBUS» and participates in the international programs «ALPHA» and «SEALAUNCH». 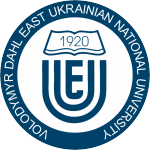 In addition, KhAI is one of the largest technical universities of Eastern Ukraine. Department of Computer Systems and Networks (CSN) participate in TEMPUS CABRIOLET project in particular. CSN carries out intensive research and methodical activities aimed at increasing the quality of engineering studies. The focus of research activities is on the development of methods, techniques, instrumental systems and tools for assessment, modelling, designing and expertise of dependable software, computer systems and networks for aerospace, atomic energy, medical and business-critical applications. KTH is the largest technical university in Sweden. KTH is actively executing major EU cooperation programmes such as FP7, Lifelong Learning, Tempus, Erasmus-Mundus, Asia-Link and Leonardo da Vinci. 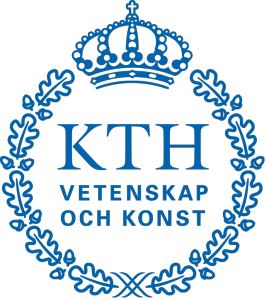 Several national and international competence centres and networks of excellence are located at KTH. KTH is involved as a leading party in two of three new Knowledge and Innovation Communities (KIC) created within European Institute of Innovation and Technology (EIT) aiming at a more in-depth integration of research, education and innovation. KTH Executive School develops the skills of executives in business management and strategic leadership through executive programs. At the moment KTH Executive School has four different programs — Industrial Management, Infra Service Management, Consultancy Management and Nordic Growth Management — each program designed for companies with common business logic. KTH activities span the entire field of cyber security (CS) in its widest sense. 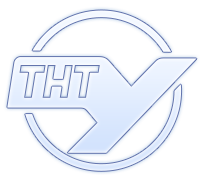 KTH specialists work with both the technical solutions and systems. The research programs cover a broad range of CS areas from basic research projects to applied research in close co-operation with internationally leading universities and industry systems and enterprise architecture modelling and analyses with respect to information and cyber security, secure networked control etc.). KTH is the leader in different local and international projects in CS: VIKING (cyber security for critical infrastructure), Security system for mobile agents etc. Cyber security programs integrate different institutions and groups focused on CS: KTH School of Electrical Engineering (Industrial Information and Control Systems, Laboratory for Communication Networks), School of Information and Communication Technology (Laboratory for Computer Security and Security Informatics), ACCESS Linnaeus Centre etc. The Centre for Cyber and Security Sciences at City University was created in early 2011 by drawing together focused groups concentrating on network security, computer security, software reliability, information security etc. City University endorses the published UK and EU strategies on cyber security and has organised its resource to support the strategies and to focus on the threats posed. The Centre will be able apply the techniques of systems science and systems analysis to the complex issues posed by illicit cyber activity in order to identity effective solutions as we believe in outcome related research. Also the Centre for Software Reliability (CSR) as an independent research centre in the School of Informatics at City University was founded in 1983. Its scope covers various aspects of system dependability. CSR is one of the world’s major players in dependability research, especially in the areas of quantitative assessment and of diversity, an area it entered in the 1980s. The Institute of Information and Communication Technologies, Bulgarian Academy of Sciences (IICT-BAS) is the leading Bulgarian state research body in the multi aspect field of ICT Developments for Emerging Security Challenges. The staff of IICT-BAS consists of 265 people and the research staff includes 148 people and 40 PhD students working in 15 departments. The ‘IT for Security Department’ has been organised in IICT-BAS. The department encompasses a Centre for Security and Defence Management (targeting mainly security & defence policies and analysis) and a Joint Training, Simulation, and Analysis Centre (targeting applied operational analysis and computer assisted exercises). Our team explores, advances and applies methodologies and tools for modelling and simulation for the security sector, including information/cyber security management. CINI is a non-profit consortium of 35 public Italian Universities for research in computer science and engineering. The consortium is under surveillance of the Ministry for Education, University and Research. CINI participates to the project through the research unit of the Department of Computer and Systems Engineering (DIS, www.dis.unina.it) of the Federico II University of Naples, that hosts the CINI National Laboratory “C. Savy”. The Federico II University is the second largest university in Italy. DIS is typically involved in EU projects in informatics through the CINI Laboratory “C. Savy”, founded in 2000. The Laboratory participated in the following EU projects: the IST Program projects CADENUS, INTERMON, NETQoS, OneLab, and OneLab2; the Networks of Excellence E-NEXT and CONTENT; the FP7 projects INTERSECTION and INSPIRE; the Marie Curie IAPP project Critical-Step and the Support Action Osmosis. DIS is currently involved in the TEMPUS project SAFEGUARD with Ukrainian partners. The University of banking of the National Bank of Ukraine (Kyiv) is a higher educational establishment of the 4-th level of accreditation. 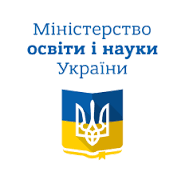 It was founded by the decision of the Cabinet of Ministers of Ukraine from June 15, 2006.
problems of modern education in Ukraine. The University of banking Institutes also organise international scientific and practical conferences in Ukraine. The origins of the University reach 1960 when Ternopil all-technical Department of the Lviv Polytechnic Insitute. was organised. In 2007 P.Yasniy, Sc.D was appointed rector of TNTU. In 2009 the University granted the status of national. Presently the general enrollment of students is around 5000 people. A number of specialities for bachelors, specialists and masters reaches the number of 22. They are united in 19 directions. The training centres functioning at the uni: Info. technologies centre comprising the regional CISCO academy, regional centre for the certified specialists training on the programs of Microsoft IT Academy & SUN Microsystems, the laboratory of the Shneider-Electric enterprise & certified examination centre of the European Virtual University. The scope of research activities at the Department of Computer System & Networks includes the development of info systems for biometric authentication of the person by dynamically typed signature; modelling & development of cryptoanalysis algorithms using parallel & distributed computer systems. Institute of Special Communication and Information Security was established on December 27, 2006. Scientific capacity: 15 Doctors of Technical Sciences, 40 Candidates of Technical Sciences work in ISCIS today. 1 employee of ISCIS have honorary degree “Honoured Science and Technology associate, another 2 ones have –“Honoured education employee of Ukraine”. ISCIS has up-to-date material and technical base to organize qualitative educational process and scientific activity. The educational process is integrated into the educational process of the university. Teaching of the part of humanities, social, economic, mathematic and natural-scientific disciplines is executed by science employees of the university. DIIT is one of the largest higher educational institutions of railway transport in Ukraine, which was founded in 1930. Nowadays the structure of the university comprises 10 faculties, where trained more than 11000 students: 17 – railway specialities, 8 – humanitarian-economic. There are more than 700 scientific and pedagogical employees work here. The first engineers in the field of computer technologies and programming were graduated from DIIT in 1964. There is Laboratory of information technologies with system of servers for development of Internet network of distance learning on which basis functions the system of the automated distant testing of students on the basis of the program «Prometheus» is implemented at university. There is the corporate network with access to the INTERNET on channels with total throughput more than 100 Mbit/s is developed and implemented at the university. The network is integrated with the branch network of railway for the distance learning of students. 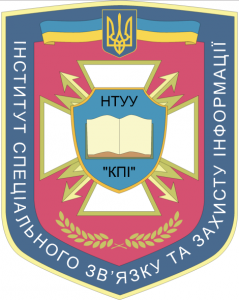 Founded in 1964, Khmelnitskiy National University is one of leading universities of Podolia – biggest historical region in southwestern part of Ukraine. With academic staff about 800 and student body 11.500 University includes 8 faculties and study graduates for 42 specialties. There are 15 of scientific schools, 20 PhD specialties and 4 specialties for doctor of science degree studies. The Department of Systems Programming was established in 2004 from a few other departments. The basic directions of the department’s activities are as follows: intellectual decision making systems; diagnostics and fault-tolerance of microprocessor devices and complex systems. During last four years the department has hosted the international conference «Computer Systems for Automation of Industrial Processes». Department actively participated in numerous research projects with EU and Polish national funding schemes. The Department of Computer Engineering trains specialists in system integr., comp.-aided design and effective use of computers, computer systems & networks in var. fields of science, industry and business. CE carries out intensive research & methodical activities aimed at increase of the quality of engineering studies. The focus of research activities is on the development of methods, techniques & tools for industrial safety & ecology: risk investigation, human behaviour modelling, safety eval. human-machine systems, resilient and pervasive infrastruct., etc. The Department has long-term and effective cooperation with the largest Ukrainian chemical and refinery comp-s, regional municipalities. The scope of research activities at the Department of Computer Engineering includes Systematization & analysis of potential hazards for the region; Development of modelling technique & tools, necessary for estimation and choice of operation under tight time limits decision-making; Analysis & development of industrial & administrative information systems. – Makes accreditation of higher and vocational educational institutes, issues licenses and certificates to them. “Radiy” Research Production Company (RADIY), Kirovograd, Ukraine, was founded in 1954. It was the largest manufacturer of television studio equipment, mobile TV stations, and broadcast transmitters in the former USSR. Now RADIY is the leading designer and manufacturer of safety critical digital instrumentation and control systems for NPPs with reactors of VVER-440 and VVER-1000. In addition, RADIY produces computer based fire-fighting systems, systems for power industry, etc. State Committee of nuclear regulations of Ukraine, State Company “EnergoAtom”, State research centre of nuclear safety of Ukraine, Institute of nuclear research of National Academy of Sciences are among the partner institutions of RADIY. The professional trade association «Ukrainian Security Industry Federation» (USIF) was founded in 2007 and brings together manufacturers, distributors, integrators and installer’s technical means of protection, automation and control systems engineering. Federation’s mission: to promote a business environment of technical security, automation and control systems engineering new development strategy aimed at increasing the competitiveness of member companies and industries federation as a whole in the domestic and foreign markets. USIF is involved very much into development of EU-harmonized standards and regulations for the Ukrainian market of security and automation systems & services. The membership of the Federation consists of more than 60 members which are the distributors, security agencies, system integrators, and centres of technical surveillance. The company «Lime Systems» was created in November 1993. Today it is a team of highly qualified professionals with great experience in implementation of modern computer technologies in the banking system of Ukraine. In parts of development, implementation and maintenance works of about 90 highly qualified specialists, two of them are PhD. Project Management Institute (PMI) has assigned the management of our company the status of Project Management Professional (PMP). The company specializes in design, installation and maintenance of complex systems, banking automation, analysis of financial systems and specialized automation solutions. The company is the leading developer of banking software in Ukraine. Our clients are such banking institutions as ERSTE Bank Universalbank, FUIB Ukrgasbank, Kreditprombank, Rodovid Bank, Industrialbank, Megabank and many others. The development is based on Microsoft.NET technology, using a three-tier architecture.